1+1 Evo® is the advanced version of the traditional 1+1. 1+1 Evo® is a technical cork stopper of great value, both aesthetic and functional, aimed at the premium segment. 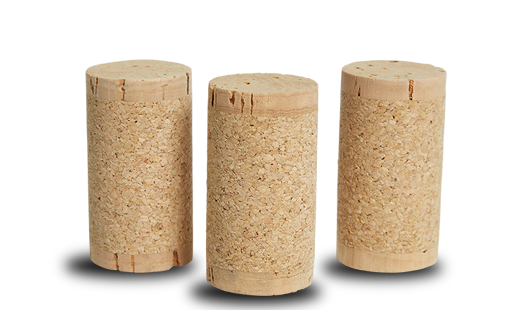 Ideal for still wines, made with high-grade natural cork disks at both ends and a micro-agglomerate cork body obtained by individually moulding, this cork assures a great physical and mechanical performance with a smooth surface for greater clarity of the logo when branded. It is subjected to rigorous quality standards, including Portocork’s patented ROSA Hi-Tech treatment, which guarantees the product an exceptional level of sensorial neutrality. Its high sealing potential and its total organoleptic neutrality make it an ideal product for high quality wines needing longer periods of stay in the bottle (up to 5 years).